The main goal to this Work Package is to deepen in the behaviour of the population for the Energy Challenge. To achieve this challenge, it is necessary to investigate the behaviour of the energy consumers in their everyday life together with consumer engagement and social innovation on renewable energy in WP 5. The main actions of this WP 3 aim to identify barriers to the energy behaviour change trough society and space faced to people moving towards more sustainable technologies for renewable energy landscapes development. A representative framework of renewable energy landscapes will be laid out in order to select focus groups in each participant country/region. Within this WP multi-sectoral discussions will be produced about which actions taken by political authorities and energy producers could improve and establish more affordable relationships between consumers and renewable energy landscapes. 01. To identify different focus groups and their behaviour/consumption patterns. 02. To determine the barriers and factors that prevent focus groups’ engagement with renewable energies and energy efficiency. 03. To examine energy consumer strategy in different regions/member states. 04. To increase the awareness of focus groups and the engagement of public authorities, organisations and different stakeholders with renewable energy and energy efficiency. In parallel with task 1 CS in WP5, here information will be gathered about energy behaviour. Firstly, market segmentation (MS) will be done through different focus groups to analyse energy behaviour. Secondly, a Key Actors map (K) will be elaborated taking into account relevant information gathered from each focus group via direct surveys. Information will be processed and analysed to create a set of relevant indicators that will help to determine the barriers and factors that prevent focus groups engagement with renewable energies and energy efficiency. To achieve changes in energy consumption it is very important to count on the engagement of all stakeholders, including public authorities (at international/national/regional and local levels), as well as different organisations, associations, companies, etc. A statement supporting renewable energy and energy efficiency (SSREE) will be developed from the conclusions of the Best Practices Essay/Report on energy behaviour. Partners from different regions and countries (in particular those involved in WP2) must seek the maximum adhesion/support from local/regional/national authorities and other stakeholders. 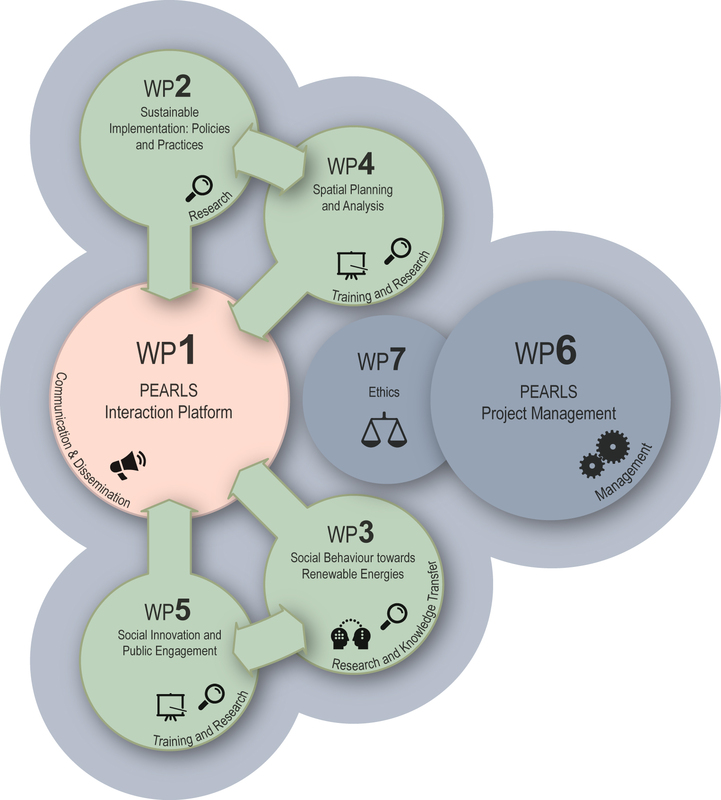 Analysis of the indicators (IA) to establish the level of engagement with and existing barriers to renewable energies and energy efficiency of different focus groups in conjunction with WP5. Energy consumer strategy in different regions/countries will also be examined. It will be crucial to identify practices that make consumers willing to change their energy behaviour while maintaining (increasing) their quality of life with a secure and affordable supply of energy. To develop a best practices report for energy behaviour including a set of recommendations to public authorities and energy producers to produce a change in consumer behaviour. To monitor the improved hubs, the use of energy efficiency with renewable energies, energy consumption and energy consumer strategy, to contribute to reducing pollution. Mining and analysing geospatial consumer patterns and citizen behaviour can deliver this information via crowdsourcing working schemes (CWS) by mining the needs of users in different locations to produce a reliable knowledge base of location patterns (spatio-temporal database, app). This will promote awareness and is a scalable solution that can be adapted to and implemented in all cities. The outcome will make significant contributions to citizens’ health and energy consumption (reducing consumption).